This is the official twitter handle of the Nigerian Defence Academy, Kaduna. 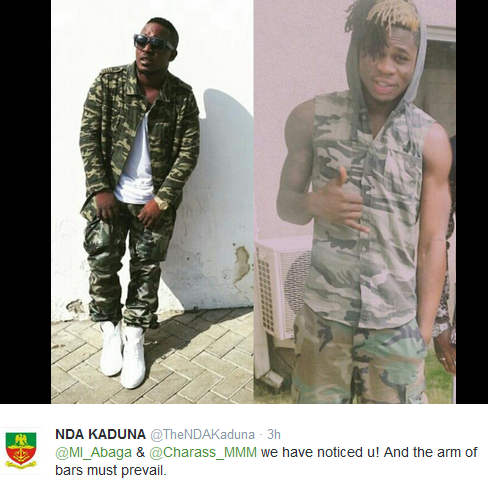 And this morning, they posted this photo of MI and singer Charass (the Coco Butter crooner) wearing their camouflage uniforms and wrote that the 'arm of bars must prevail'. What does that mean, is it a threat?